Can you say excited? Hello! This coming November, I’ll be the host for a 3 day Q&A with cast members and filmmakers from the Harry Potter™ movies! Celebrating a decade of Harry Potter as Universal Orlando has special vacation package offers that include this amazing Q&A session. 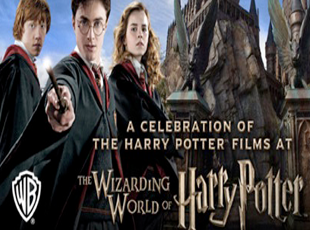 Go to https://www.universalorlando.com/Landing/Harry-Potter-November-Celebration.aspx to take advantage of this event!